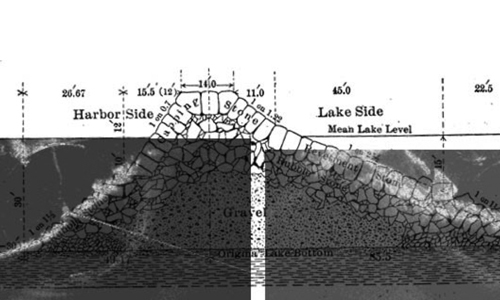 Lake Champlain Study – Dolan Research Inc. 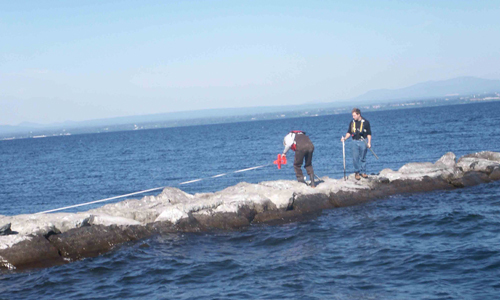 Scope: Side scan sonar data, scanning sonar data, and ROV images were collected and manual inspections were carried out at three Lake Champlain Breakwaters: Rouses Point Breakwater, Clinton County, New York; Swanton Harbor Breakwater, Franklin County Vermont; and Gordon Landing Breakwater, Grand Isle County, Vermont. 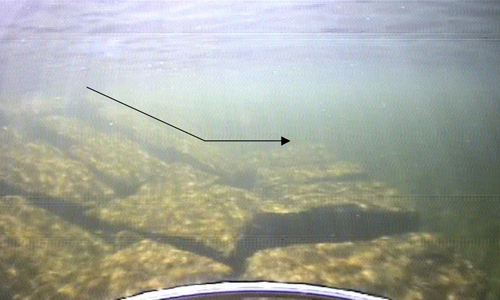 The primary goal was to document and merge data on the current above-water and below-water construction components of the breakwaters. 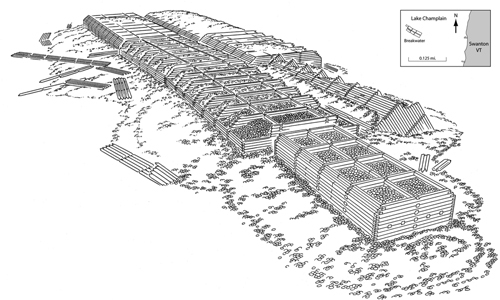 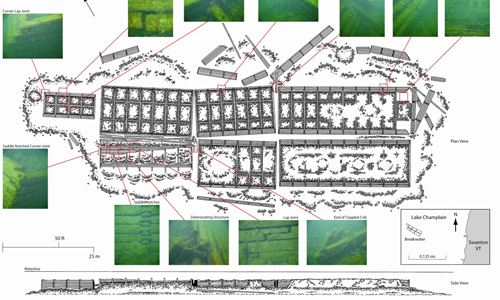 The investigations were designed to supplement the background research that was conducted to evaluate the historical significance of the structures. 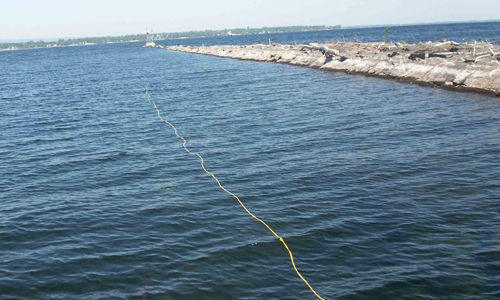 A Marine Sonic HDS High-frequency (1200kHz) side scan sonar system was to collect side scan sonar at all three breakwaters. 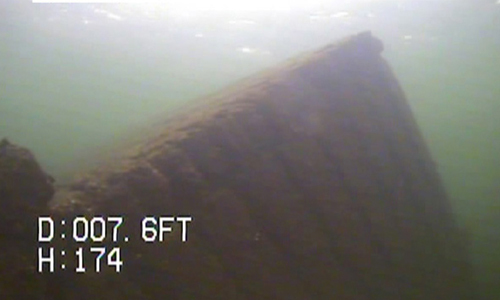 A Kongsberg PC- based MS 1000 scanning sonar system was deployed at the Rouses Point Breakwater was deployed to obtain detailed acoustic images at predetermined locations on the structure. 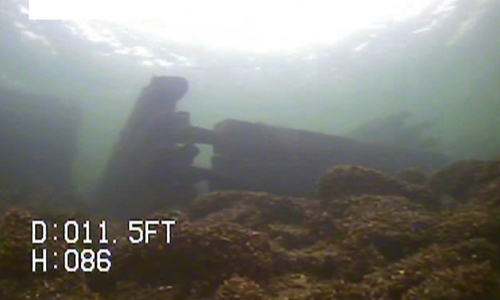 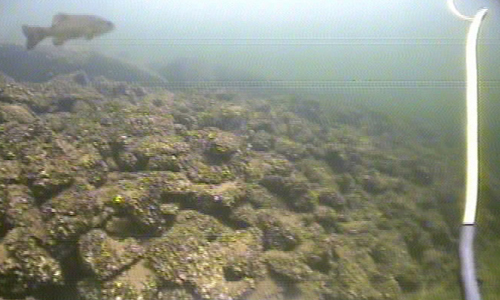 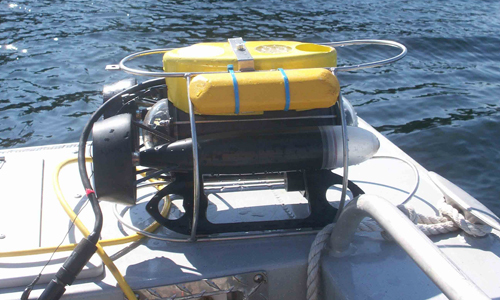 In addition to the acoustic data set, a VideoRay Pro3 ROV was used to gather underwater imaging at all three sites – eliminating the need mobilize a diving operation.